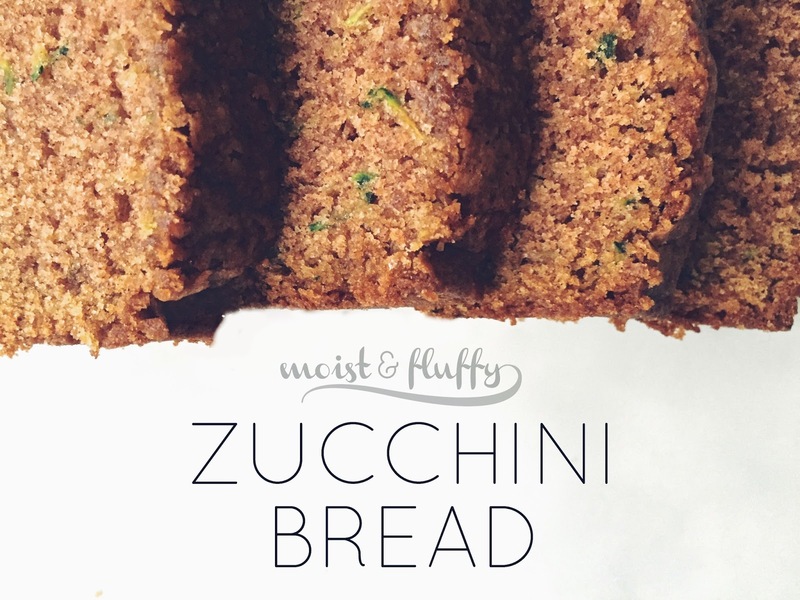 Earlier this week I made the most delicious zucchini bread. Really, though. It is so delicious. For those of you who haven't ever had zucchini bread, make it NOW! 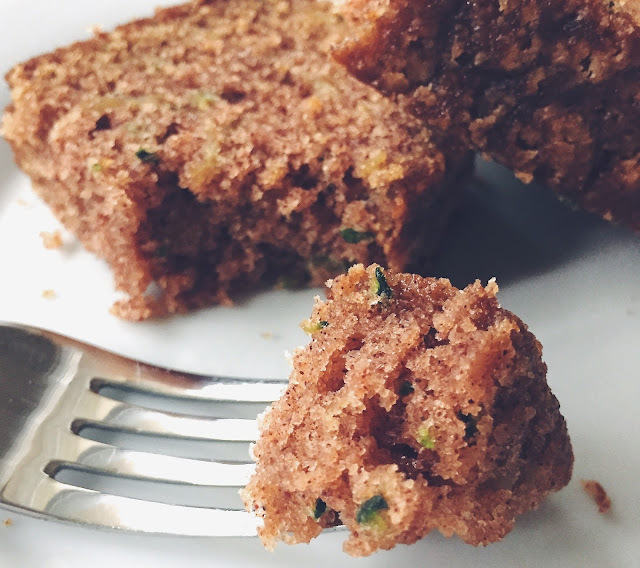 It's basically like an ultra moist, cinnamon-y cake that is acceptable to eat for breakfast. 1. Preheat the oven to 350 F and grease a loaf pan. 2. In a medium sized bowl, whisk together the egg, sugars, oil, zucchini, and vanilla. 3. In a larger bowl, combine the flour, baking powder and soda, salt, cinnamon, and nutmeg. 4. Add the wet into the dry and mix with a spatula just until it comes together - don't over mix! 5. Pour the batter into your greased loaf pan and bake for 45 minutes, until a knife comes out clean. Hey there! I'm Rachel, an LA based cinematographer with a blog dedicated to dessert. About 99% of the time, expect to find me with either a camera or cookie in hand - but most likely, both at the same time. I'm here to show you the sweeter things! Find additional recipes, photography, and video by Sugar Coated Inspiration on studiodiy.com, glitterinc.com, pacificmerchants.com, and jenrobin.com! Copyright © Sugar Coated Inspiration – All Rights Reserved. Simple theme. Powered by Blogger.